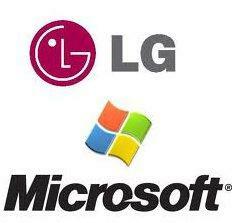 Microsoft Corporation and LG Electronics have signed a patent agreement that provides broad coverage under Microsoft’s patent portfolio for LG’s tablets, mobile phones and other consumer devices running the Android or Chrome OS Platform. The contents of the agreement have not been disclosed. According to Horacio Gutierrez, corporate vice president and deputy general counsel, Intellectual Property Group at Microsof they are pleased to have built upon their longstanding relationship with LG to reach a mutually beneficial agreement. Together with their 10 previous agreements with Android and Chrome OS device manufacturers, including HTC, Samsung and Acer, this agreement with LG means that more than 70 percent of all Android smartphones sold in the U.S. are now receiving coverage under Microsoft’s patent portfolio. They are proud of the continued success of their program in resolving the IP issues surrounding Android and Chrome OS.